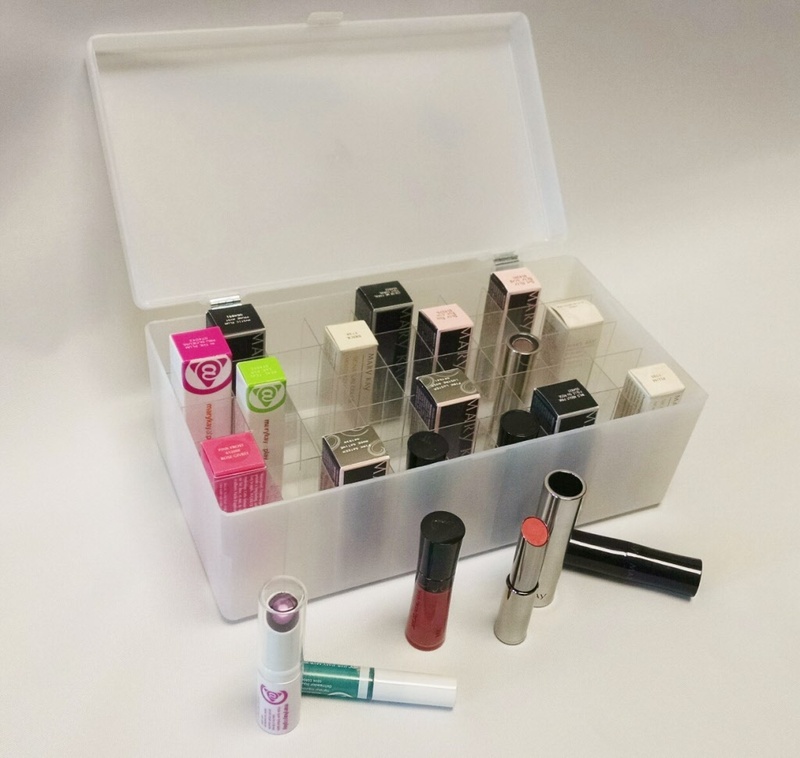 Frosted box with hinged lid has clear plastic dividers to create 45 compartments to hold lipsticks, upright no matter how few are left in the box. Perfect for taking inventory to your shows or for storage on your shelf. 10"x5 1/2"x4"